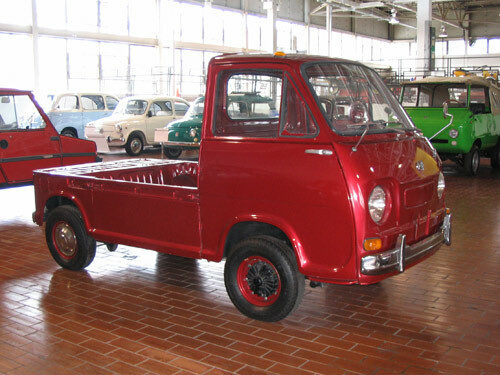 In 1961, the Subaru Sambar made its debut. The Sambar, based on the Subaru 360, was a truck that was outstandingly pleasant to ride in and stable to drive. Compared with other four-wheel mini trucks of its day, the Subaru Sambar had the lowest deck body and the roomiest cargo bed. With its ability to neatly negotiate narrow street corners, this mini truck was a breath of fresh air in the industrial world. In 1962, the Sambar light van was launched as a vehicle for not only commercial but leisure use. With the Sambar, Subaru became firmly established as a manufacturer of light passenger vehicles.